This 5 day Classic Fly-in Chobe & Victoria Falls Package provides the ultimate African safari where a wide range of activities highlight a spectrum of African wildlife and landscapes. 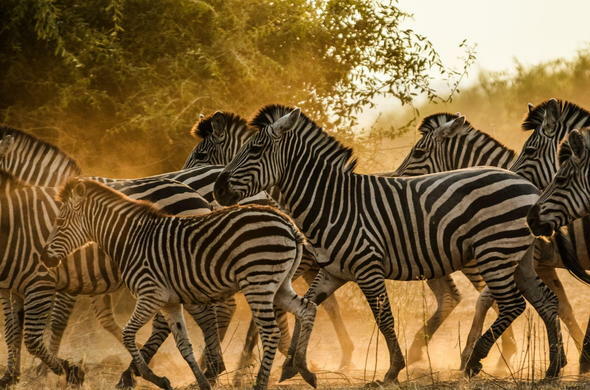 This Chobe and Vic Falls Safari Experience provides the ultimate safari holiday with activities for all needs and desires, ranging from adrenaline inducing adventure to cultural interpretations and languid boat cruises on the Zambezi and Chobe rivers. The safari combines the legendary Victoria Falls, the adventure capital of Africa, with the Chobe area in Botswana, the Elephant capital of Africa, to provide an experience of unsurpassed game viewing, cultural interaction and excitement. Activities on this safari to Zambia and Botswana include game drives, night drives, bush walks, boat cruises and a cultural village tour. You also have the opportunity to experience bungee jumping, white water rafting, Elephant rides and walking with Lions. Today you will arrive in Kasane in Botswana on a flight from Johannesburg. 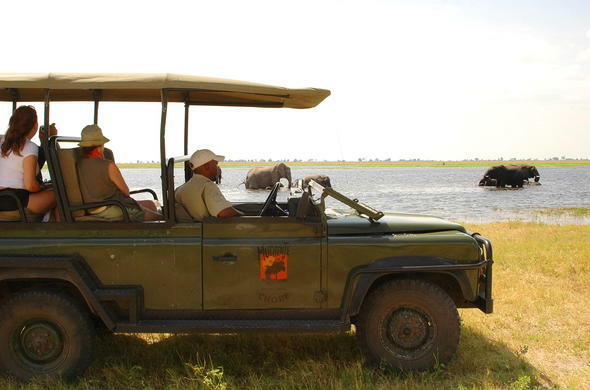 You will be met and transferred to your lodge in Chobe where you will stay for 2 days.The lodge is situated overlooking the floodplains of the Chobe River, an area renowned for its Elephant concentrations during the dry season. There will be time for an afternoon activity, either a game drive or boat cruise, to view the splendours of this legendary wilderness. Your day starts with an early wake-up call and a light breakfast before heading out on a morning activity to experience the Chobe River and its attractions. Predators are out and about early and the guides will do their utmost to track them down. Throughout the day Elephants arrive on the riverfront to slake their thirst, in particular during the dry season when the water has dried up in the interior. There will be time for a visit to a village to experience some of the cultural side of Botswana and the afternoon activity will take into more of this renowned area. The safari lodge is located on a concession outside the Chobe National Park, allowing for more flexibility when it comes to activities such as night drives to view the nocturnal creatures of Botswana. There will be time for a morning activity and a last look at the wonders of Chobe before crossing the border back into Zambia and heading to Livingstone where you will spend the next 2 nights. 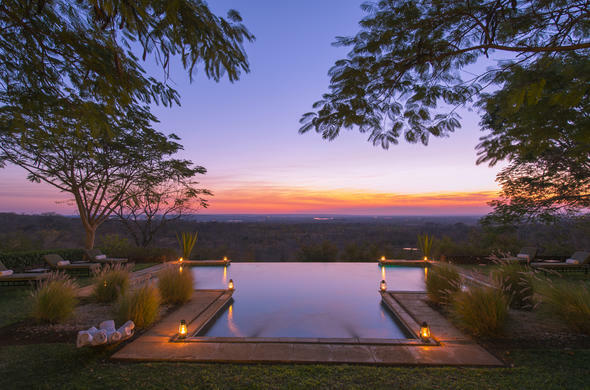 The safari lodge is situated near the Victoria Falls, and from here you can enjoy all the activities and sights that have made this area one of the greatest African Safari holiday destinations in Africa. The day is your own to do as much or as little as you want. There are enough adventure activities to keep even the most hardened adrenaline junkie excited, ranging from bungee jumping and white water rafting to skydiving and jet-boating. But for those wanting animal interaction there are Elephant rides and walks with Lions on offer. Victoria Falls is a known shopping destination with excellent curios of very high quality on offer. Stone and wood carvings are a few of the many souvenirs to be found, but just strolling through the markets is an experience in itself. For a more sedate activity then an evening boat cruise on the mighty Zambezi is a must. 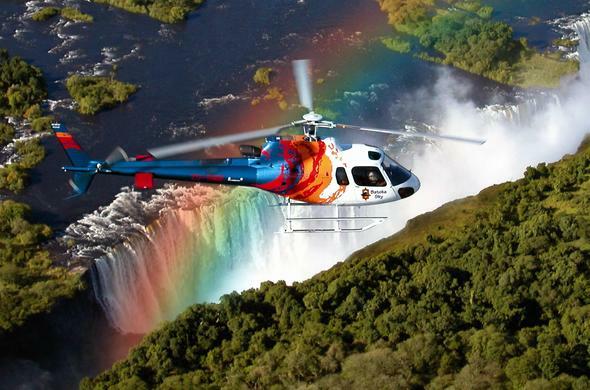 This is the final day of your 5 day Chobe and Vic Falls Package. Make the most of your last day with a morning activity or some last minute shopping for souvenirs. You will be transferred to the airport to catch your flight back to Johannesburg O.R. Tambo International Airport, after a memorable African safari getaway.